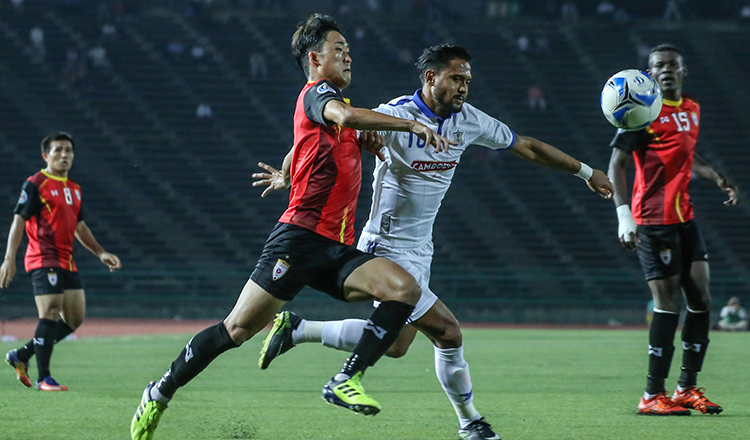 Cambodian C-League champions Boeung Ket welcome Ceres Negros of the Philippines to the Olympic Stadium this evening for a Group F clash in the ongoing AFC Cup. Their last meeting in February was one to forget for BK, who suffered a humiliating 9-0 defeat. Speaking after the heaviest defeat in the clubs’ history, interim coach Keo Kosal had said that finding any single reason for the manner of defeat was not right – yet went on to blame the state of the pitch on a rain-drenched night at the Pana-ad Park and Football Stadium in Bacolod City, Philippines. 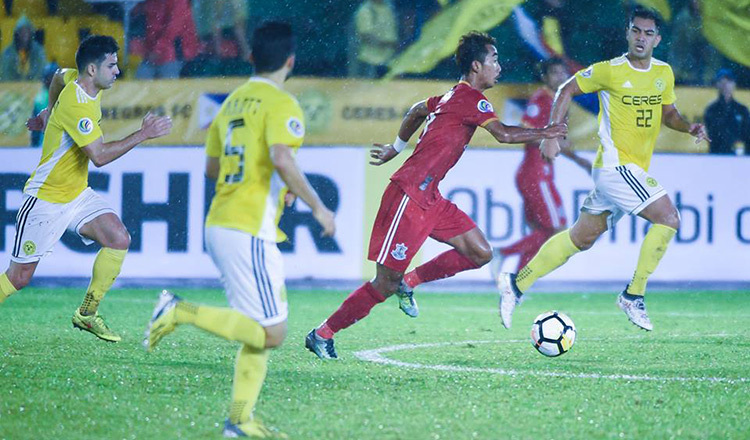 The loss gave Boeung Ket the ignominy of going into the history books as the margin of victory equalled an AFC Cup record, first registered by Uzbekistan’s Nasaf Qarshi who beat India’s Dempo in a group stage tie in 2011. Ceres, 2017 PFL champions, were rarely challenged by Boeung Ket as Takumi Uesato, Bienvenido Marañon, and OJ Porteria all scored braces. An own goal from Boeung Ket’s Sun Sovanrithy along with strikes from Carlie De Murga and Manny Ott completed the rout. 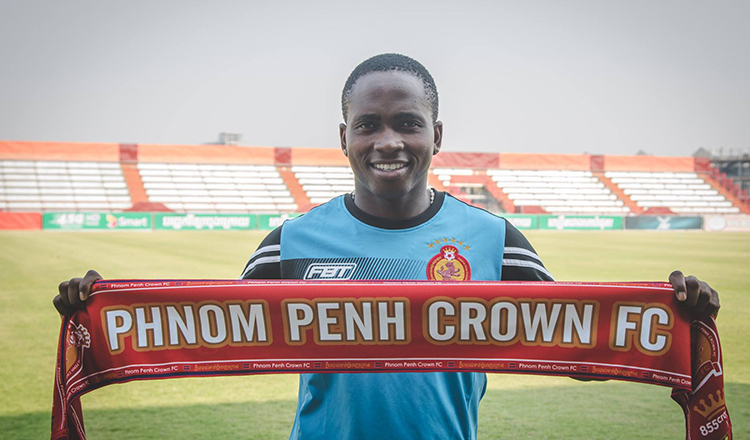 After the fateful Ceres defeat, Boeung Ket went on to lose 2-1 to Myanmar’s Shan United at Olympic Stadium before an unexpected 3-2 victory over Home United in Phnom Penh. They lost the return leg in Singapore 6-0. Meanwhile, tonight’s opponents Ceres need just a win to garner a berth in the knockout round. The match is scheduled for a 6.30 pm kick-off and will be broadcast live on BTV.